Discover the secrets of Milan Cathedral and explore its heritage with the official guide. The application, will allow you to discover the beauty of this heritage and keep it always "at hand ". The Duomo is a heritage that does not end with the Cathedral. 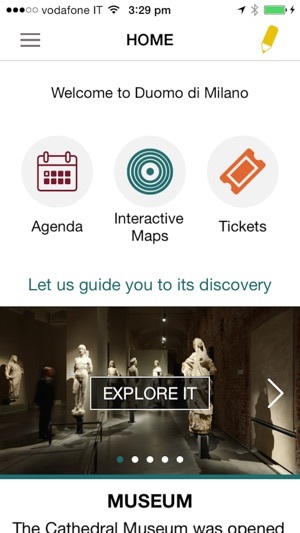 The application will help you discover all its wonders as the Terraces, the Square and the Museum . The artworks will narrate all their secrets, with images, descriptions, information and curiosity . With the exclusive audio guide and the Milan Skyline augmented reality experience your visit will be unforgettable. With the App you can take pictures, make a video and record voice memos to save your Cathedral memories forever. 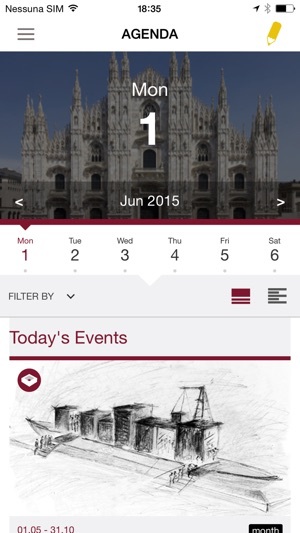 And to stay always informed about activities, events and news of the Milan Cathedral and buy tickets right from your smartphone you just have to download the application .